The Heritage Newham group launched over two years ago and has brought together many individuals and organisations who have a passion for history and heritage. There is a massive amount of goodwill in and around our borough to celebrate our past and keep history alive for all generations, writes Colin Grainger. Originally called the Museum for Newham campaign, we want, and would still love to see a museum in the borough. Next March, it will be 25 years since the Passmore Edwards Museum closed its doors after 94 years of service. You only have to look at social media to see the passion, joy and celebration. There are 22 different Facebook sub groups devoted to stories of our past, details of which can be found on our Facebook page. There’s also the Forgotten Stories series on London’s Royal Docks website and a new magazine EastEdge featuring memories. 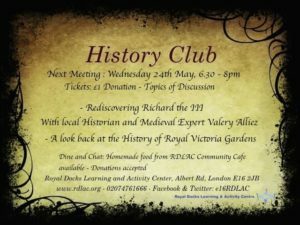 The Royal Docks History Club in North Woolwich and Silvertown has proved a great success and charities like Ambition, Aspire, Achieve are among groups who are staging special heritage events for children. The Tate Lives: Salvaging the History of the Tate Institute group, is doing exactly what it says on the tin. They have brought together some magnificent memories and the group, the community and experts from the University of East London in Docklands are now expanding their work. Eastside Heritage has now been working for generations to achieve magnificent things to keep history alive in our community and now the East End Women’s Museum is here to expand the boundaries. From individuals who contribute to our campaign to groups like Newham History Society who have been part of the organisation from day one; everyone is keen to preserve the passion for heritage in our community. The Heritage Newham (People, Places, Progress) group has its own Facebook, Twitter and Instagram accounts and many of its members have their own websites. The group’s vision was prepared by Peter Williams, following detailed discussions over the last year. It’s an excellent read and one we hope will encourage you to come and join us. We are not a political group and we have made our aims clear to Newham Council. But we intend to invite members of all parties fighting the mayoral and local elections to tell us what their plans are for protecting and preserving our heritage. Contact details are available at the end of this article. We are concerned that a fixed museum in a building may not best serve the local community. We would be especially concerned if it was based in Stratford where there is already a concentration of facilities, fuelling a “them and us” attitude in the borough where Stratford gets everything, especially for residents living away from E15. there could be an option for one of the new institutions in Stratford contributing to a local museum – whether V&A; UCL university; or a commercial sponsor. See more below. Newham Council does have a collection of objects, recently moved to safe storage out of the borough after the demise of Stock St. This still needs to be used and made available as appropriate. Newham is bidding to be a London “Borough of Culture” in 2019, and history/heritage would significantly strengthen the bid. This is something we should be acting on now as the bid is being prepared. These could be provided in existing heritage buildings like the House Mill (where the council museum collection has a small display on a railway theme at present); Brick Lane music hall in Silvertown; East Ham nature reserve interpretation centre; Rabbits Rd in Manor Park; disused heritage buildings could also be thought about (the old dispensary E15; Burgouynes E6). This is without considering council buildings. For example Libraries already mount themed displays. Pop up shows could be linked to particular anniversaries or themes. An example would have been the Silvertown Explosion 1917. Eastside Heritage’s pop up in Stratford (pictured below) during the Olympics is also a splendid example. Data is available on its impact. There are a number of providers of this already using buses or trucks. These include the Museum of London. Some of these organisations may have small amounts of funds available to appeal to hard to reach groups such as particular ethnic groups or older people or people with disabilities. In the past Newham Museum Service had boxes of themed artefacts that could be loaned to schools for teachers or others to deliver lessons around an agreed curriculum. A more modern sophisticated version could be devised with associated lessons plans linked to the National Curriculum. This could include artefacts handling; dressing up; creative artwork; displays where the children create part of it; the creation of new digital content. Newham Council already holds very large collections of images, documents, newspapers, films, and artefacts. There has been relatively little investment in making these accessible to the public either in actuality or virtually through new media. Not even digital catalogues are available so a teacher or researcher or interested enthusiast can see for example what Newham holds linked to “Sugar and Newham” or “the black communities of Newham”. Newham is frankly a considerable way behind even neighbouring boroughs in East London. Recommendation: Specific funding should be sought from partners to rapidly expand the amount of digital material in the borough to stimulate greater interest in heritage, and greater access to what is there. This approach should be linked to what is already happening in the virtual world. There is an under appreciation in official circles for the very lively amount of activity on Facebook and other media around Newham local history and heritage. The council’s own Newham Story website has been down for over a year (though the Newham Story bulletin board is back, itself a major source of information) but there are dozens of Facebook groups highlighting particular geographical areas of the borough or themes. Though amateur, these contain huge amounts of valuable material and amount to a “citizen museum” of photos (some very rare), memories, personal collections and photos of objects. There are also dedicated website linked to the borough where people with high order skills (retired journalists; part time academics with PhDs, and skilled and knowledgeable amateurs publish articles about local themes and characters and are carrying out important original research, sometimes of national significance). One of the best is http://www.e7-nowandthen.org/ which has a new story every ten days or so. Another is http://www.colin-grainger.co.uk/ by the former Newham Recorder Editor. A new area is recently commissioned apps for smartphones, some of which are of the highest quality. An example would be the Canals and Rivers Trust app for parts of the Olympic Park delivered in mid 2017. (CRL Carpenters Rd lock). New apps are being commissioned all the time, normally not by the council but by partners who have some funding. Another one is the West Ham stadium app linking Upton Park to the London Stadium. These are often self guided and have the advantage of having few ongoing revenue consequences once the initial commissioning is complete. Then relatively low skill individuals with training can add new material to agreed standards. These are often led by people with considerably specialised expertise in their field and training in how to deliver (e.g. Blue badge guiding) and may be based round an existing heritage node such as the House Mill; or a council library/neighbourhood. There are also highly specialised tours e.g. WHUFC; Wanstead Flats in WW2; or architectural treasures in the borough like ancient churches. Traditional historical societies are tending to struggle all over East London with older memberships and traditional models of committees and programmes. However there are other models. One off events held in attractive venues like bars and cafes can attract large audiences for events with popular themes. In the Royal Docks a new history club has come into existence and is making a significant impact. More needs to be done to engage communities that have not traditionally engaged with the heritage industry. Some contact has been made for example with mosques and outreach work in schools – there has been local work on the role of empire soldiers in WW1. Muslim voluntary sector groups such as Ilm2 Amal (Knowledge to Action) are working with Islamic schools in Newham, and have expressed interest in involvement with history work. Outreach sessions in libraries like the closing event of 2016 heritage week or the Mayor’s show heritage tent have shown a clear interest from communities new to Newham but we have not had the resources to capitalise on this. The steering group remains largely white, male and older with some notable exceptions! The council accepts it cannot do everything. Money is tight and it needs to be mobilise those who are interested. Stratford Archives has a small but dedicated band of volunteers involved in cataloguing and in limited scanning and digitisation. But this pool could be expanded if it could be managed. Volunteers have been used to help clear Stock St, though these have been quite specialist. There are hundreds of enthusiastic people in the borough. The House Mill has 70 volunteers; dozens are involved in family history research both on line and in person in archives. Many have developed considerable skills in specialist areas. There are a number of special projects going on at any one time e.g. the Stratford Village Project; and alleyway history at present. 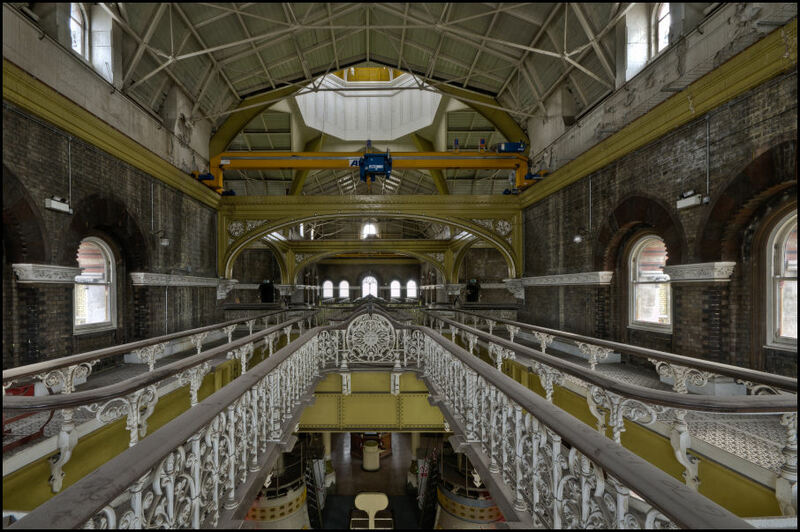 A number of volunteers write regular and high quality articles for the Newham Recorder who have been interested to commission a good deal of heritage material in the last 1-2 years. There is immense goodwill in the borough but these needs to be identified and coordinated. If a different concept of a museum (one not based in a building but something more fluid and flexible) is to come to fruition it will still require funding and coordination. It will be cheaper than a fixed museum but not cheap. For example digitisation of council records could cost tens or hundreds of thousands depending on scale. There may be scope to seek funding from HLF or others to employ a part time coordinator to draw together these and other ideas and to make them happen with a volunteer run steering committee. This can be in partnership with the council or other academic partners. The group has a relationship with the Museum of London development office and has met them and had a presentation. Just by this group meeting over the last two years issues and concerns have come to light that even experienced local historians were not aware of. This includes really positive things like free resources; recently commissioned new media; small funding opportunities; and there has been the chance to experiment with small scale actions. The AAA charity has run heritage themed half term activities for kids. 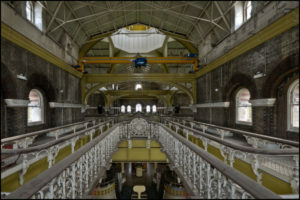 Thames Water have opened Abbey Mills pumping station for local residents only after years of frustration over Open House weekend being booked out. New types of events have been organised like cycle heritage tours.